When I was an undergrad, there were two different kinds of English majors. You were either a “lit-head” or a “theory-head.” Without question, I was the latter. I used to read Jean Baudrillard before bed and felt I understood him far better than George Elliot. Theory was exciting for me. After graduating, I continued studying it on my own and pursued theory and criticism wherever I could in grad school. Because I found these subjects so mind-blowing as an undergrad, I try to introduce my students to appropriate concepts whenever I can. I’ve done this for a long time. When I was 20, I was a summer camp counselor and remember explaining Lacan’s mirror stage to some of my high school students. There was this moment that their eyes lit up with understanding, and that is what I live for as a teacher. These concepts are not hard if explained well. Some texts do that better than others, and so today I wanted to take some time to break down some of the best books for studying, teaching, and learning literary and critical theories. For anyone interested, you can find a more extensive list HERE. These six books are the best books on literary theory and criticism that I’ve found. 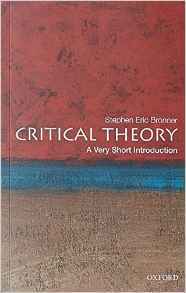 This text is full of the primary sources you would need to teach a survey course on literary and critical theories. The readings are arranged chronologically, which I love because I am completely fascinated by the evolution of thought. The editors include a 1-2 page introduction to each thinker that contextualize their ideas and highlights important concepts. Two of my professors assigned this text when I was an undergrad: the first was for a literary criticism course and the second was contemporary critical theory. Reading the primary sources, the actual words of each thinker, is probably why I fell in love with theory the way I did. It includes poets, philosophers, psychoanalysts, novelists, playwrights, linguists, existentialists, and everyone in between. You can buy the text outright for a rather ridiculous price on Amazon; keep in mind it’s almost $100 more from the publisher. English majors are not used to paying so much for a text, but this one is actually worth it. You will use it for the rest of your life and reading the actual sources will teach you to find the beauty of critical theory in literature. One last note, the third edition came out while I was an undergrad and includes some thinkers I wasn’t introduced to until grad school. It would have been nice to have a head start on their ideas, so definitely opt for the third edition if you’re in the market. 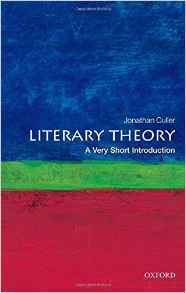 This is probably the most comprehensive book about literary theory I have read. The language is simple even when discussing the convoluted concepts of literary theory. I’ve taught through the first chapter in an introduction to literature course to help students see the endless possibilities of literary analysis. 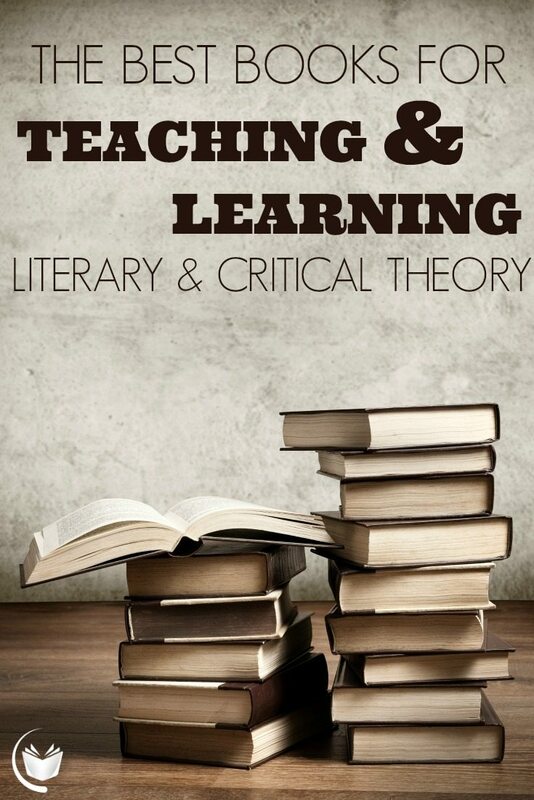 The chapter is titled, “Everything you wanted to know about literary criticism but were afraid to ask.” The title alone communicates the author wants to eliminate the fear and anxiety of students when studying this topic. What I really appreciate about this book is that it takes a single novel, The Great Gatsby by F. Scott Fitzgerald, and applies a different literary theory to it in every chapter. This approach makes it easier to tease out the nuances between theories while also appreciating the ways they overlap. The author includes chapters on psychoanalytic criticism, feminist criticism, new criticism, reader response criticism, structuralist criticism, deconstructive criticism, new historical and cultural criticism, lesbian, gay, and queer criticism, African-American criticism, and postcolonial criticism. It does include a bibliography for primary and secondary resources, discussion questions, and a note to instructors at the beginning. You can preview of PDF of the 2nd edition of the text online HERE. 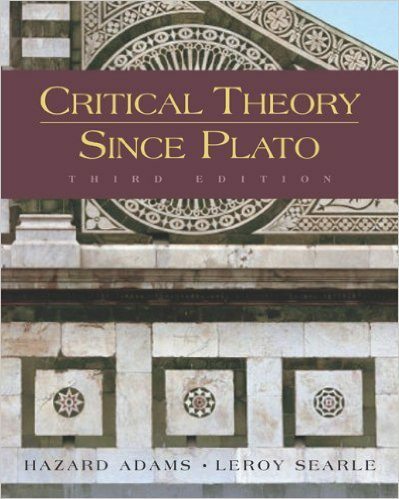 According to The New York Times Book Review, “This concise and lucid volume offers a satisfying survey of all the major theories, from structuralism in the 1960s to deconstruction today, that have made academic criticism both intriguing and off-putting to the outsider.” This book is best used as a companion text when also assigning primary sources. 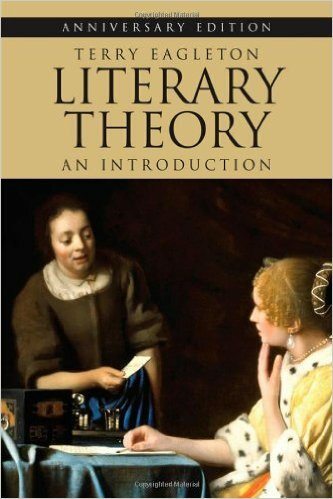 The first chapter gives an overview of how literary theory has evolved and then covers Phenomenology, Hermeneutics, Reception Theory, Structuralism and Semiotics, Post-Structuralism, and Psychoanalysis. 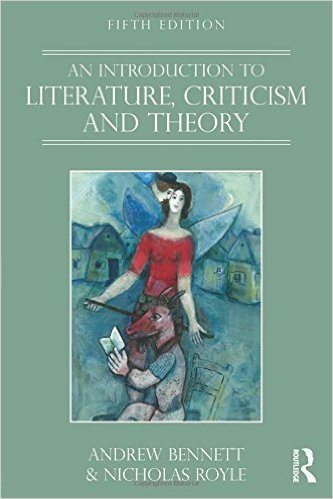 The concluding chapter discusses Political Criticism and seeks to answer the burning question in the heart of every literature student: What is the point of literary theory? This book was originally published in 1983, which was during the glory days of studying theory. A lot has changed since then, but this remains a great foundation text for understanding the field. Keep in mind this book reads like a narrative of each realm of thought. It would help the contemporary mind to add a few subheadings to each chapter to bring clarity to what is presented. 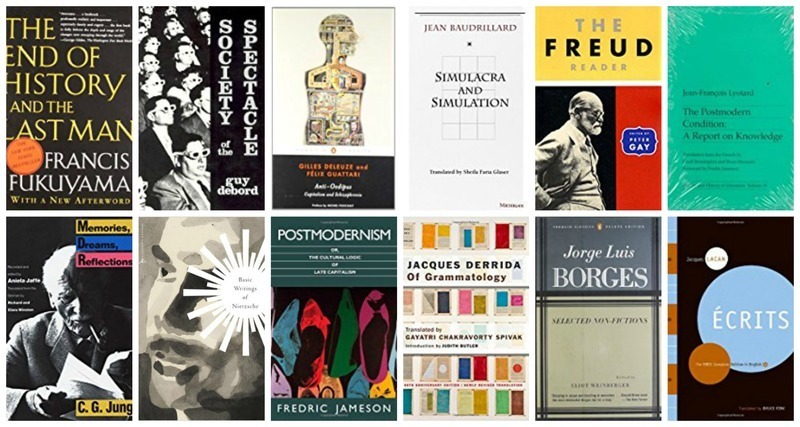 Lastly, there is a bibliography included at the end with suggested readings for the following areas of theory: Russian Formalism, English Criticism, American New Criticism, Phenomenology and Hermeneutics, Reception Theory, Structuralism and Semiotics, Post-Structuralism, Psychoanalysis, Feminism, and Marxism. There is no other text that so concisely summarizes the subjects that emerge when studying literature. Each chapter is around 10 pages or less and covers a lot of ground. That back cover explains the authors’ mission as follows: “Instead of relying on abstract isms, Bennett and Role successfully illuminate complex ideas by engaging directly with literary works, so that a reading of Jane Eyre opens up ways of thinking about racial difference, whilst Chaucer, Raymond Chandler and Monty Python area ll invoked in a discussion of literature and laughter.” The chapters include the following topics: The beginning, Readers and reading, The author, The text and the world, The uncanny, Monuments, Narrative, Character, Voice, Figures and tropes, Creative writing, Laughter, The tragic, History, Me, Eco, Animals, Ghosts, Moving pictures, Sexual difference, God, Ideology, Desire, Queer, Suspense, Racial difference, The colony, Mutant, The performative, Secrets, The postmodern, Pleasure, and War. As you can see, this wide range of subjects is not typical for a theoretical text, but each subject emerges in so much of our favorite literature. There is suggested readings at the end of each chapter and a glossary at the end of the book that would benefit any student or teacher of literature as they seek to explain complicated ideas. The glossary includes literary terms like trope, end-stopping, and assonance, as well as theories like formalism, and feminist criticism and everything in between. These short introductions are excellent for wetting the student’s palette for the subject before the main course, although I suspect they will leave the reader with more questions than answers. If you are a teacher, be sure to accompany a reading of this text with primary sources and be ready to define the author’s terms. I appreciate the way these books are put together because they include subheadings to help a student refine their understanding of the bigger questions. For example, the chapter on “Identity, Identification, and the Subject” includes the subtopics: The Subject, Literature and Identity, Representing or Producing, Psychoanalysis, Group Identities, Pervasive Structures. Each subject area is no more than two pages, so readers are really only introduced to the idea. It’s impossible to tease out the nuances of each subject, however, the author does try to articulate the tensions that emerge when studying each subject. The Appendix includes the same short introduction of the major theoretical schools and movements of thought: Russian Formalism, New Criticism, Phenomenology, Structuralism, Post-Structuralism, Deconstruction, Feminist Theory, Psychoanalysis, New Historicism/Cultural Materialism, Post-Colonial Theory, Minority Discourse, and Queer Theory. The best part about this book? You can add a brand new copy to your library for under $8 on Amazon. These very short introductions remind me of the guy who name drops at a party and never tells the full story. Understanding the associations of each idea presented is helpful, but the explanations are somewhat lacking. The author rarely, if ever, defines his terms. If you’re already familiar with these thinkers, then this broad overview is illuminating and will help put some pieces of the puzzle together and show you where your knowledge is lacking. I suspect professors and advanced students of theory would benefit from reading these far more than a beginning literary and critical theory student. The main focus throughout the text is the Frankfurt School, showing the beginning, evolution, and continued relevance of these thinkers. The emphasis is on understanding the context of the thinkers, who they rub elbows with, what their religious affiliations are, what publications were most influential, etc. more than the ideas themselves. 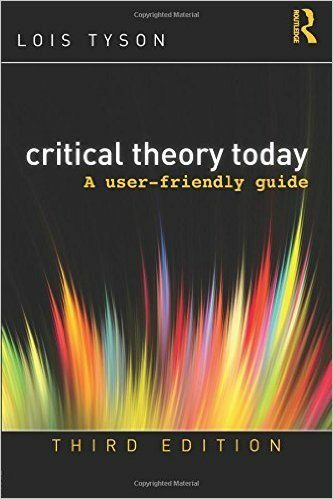 For under $9 on Amazon, it’s worth every penny, but be careful of assigning it to an early theory student or expecting to understand it if you are just beginning to understand the theory game.